The building of a tennis court requires a complicated sequence of engineering decisions and builders' actions. Main direction of Domotrad company in installation of tennis court surfaces is hard and synthetic grass. These surfaces are suitable for outdoor tennis courts and are most suitable for our climate. 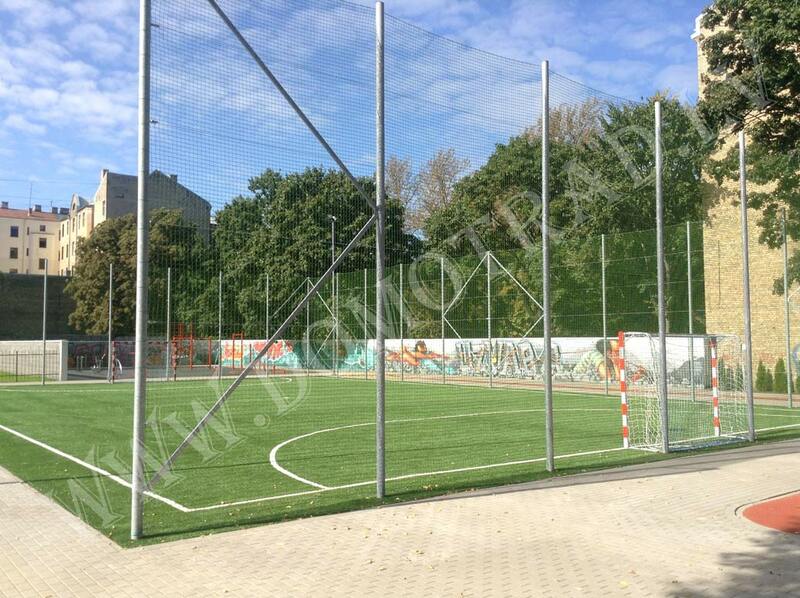 As a rule, all synthetic surfaces are installed over the hard base - concrete or asphalt. We recommend that the Outdoor courts with the “synthetic grass” surface are installed over asphalt or over concrete; “Hard” type surfaces can be installed over asphalt only. There are specific methods of installation for the “Hard” surfaces over the concrete foundation. A synthetic surface will serve better after installation, if construction of the foundation is chosen correctly, right materials are used and if the building company has significant experience in this area. 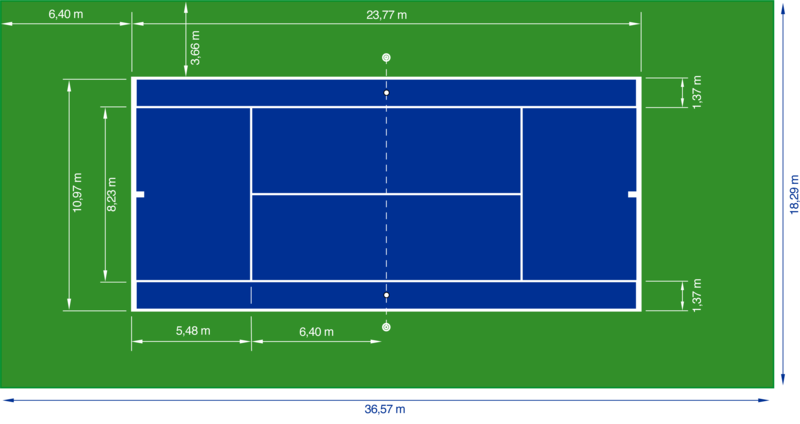 Usually a tennis court is planned so that for the most of the playing time the sun is in the "north-western" corner of a court. If you have the ability to choose, have in mind that the best position for a tennis court is so that the longest part of the tennis court is in the direction north-south.